If you picked up a newspaper or turned on the radio in the spring of 1932 you would have been inundated with news about the kidnapping and subsequent death of Charles Augustus Lindbergh, Junior. The 20 month old son of Charles Lindbergh, world-famous for his solo flight across the Atlantic in 1927, and his wife Anne, was discovered missing from his crib on the night of March 1, 1932 and was found dead near their Hopewell, NJ home two months later. The kidnapping was called the “Crime of the Century” and the term “Lindbergh baby” is as recognized today as it was nearly eighty years ago. Recently I had the opportunity to finalize processing of the Leon Hoage collection and came across a fascinating piece of the kidnapping’s aftermath. Hoage was a crime analyst brought in to examine the Lindbergh case by New Jersey Governor Harold Hoffman. The man convicted of the crime was German émigré Bruno Richard Hauptmann—he proclaimed his innocence right up to his execution in 1936. After reviewing the police files in the late 1930s, Hoage alleged that the original investigation was flawed, the crime was an “inside job” and that Hauptmann was innocent. His files include copies of police records, testimonies and statements, photographs, notes, and some of the many copycat ransom notes sent to the Lindberghs. 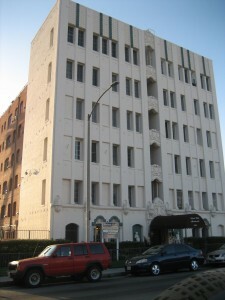 After his tenure in New York working the case, Hoage eventually settled in Los Angeles where he continued his research and writing. 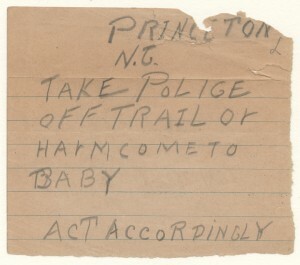 Today, a portion of his files on the Lindbergh case are part of the Leon Hoage Collection of Material about the Lindbergh Kidnapping Case (Collection 1066). Charles Lindbergh Jr. was not yet two years old when the story of his kidnapping became the center of a media storm. 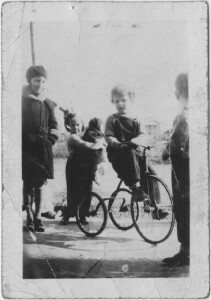 Here he's pictured on a tricycle shortly before the abduction. The family's household employees were thoroughly questioned. 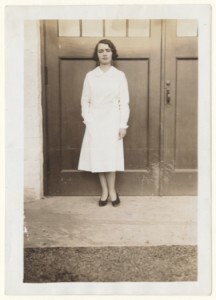 Violet Sharpe, the parlor maid, committed suicide during the investigation. The Lindberghs received a number of false ransom notes, sent by people who wanted to have a piece of the ransom payment.